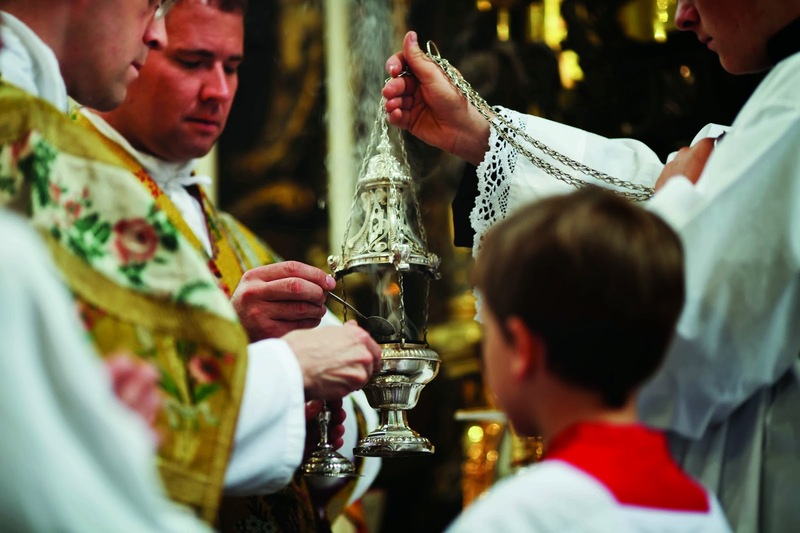 And what is it that attracts so many young people to the Traditional Liturgy of the Church? It can’t be nostalgia, they have never experienced the Liturgy before 1962. Why are they not content with the new liturgy that is supposed to appeal especially to the young – active participation, creative liturgies, modern music, dancing – is this not everything that young people want? It is quite clear that it is not. 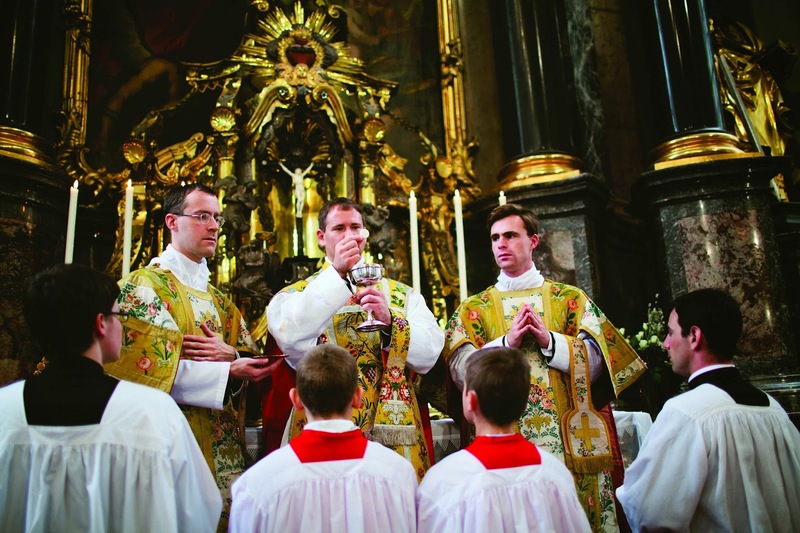 The modern Mass, as presented to them in recent decades, has alienated them from the Church. In preparation for this talk I consulted all the members of the Federation and also those new groups that have contacted me. The comments I received, especially from the young leaders of the newly-formed groups in all parts of the world, reveal a thirst for truth, for dignity and reverence in worship, for something transcendent. Indeed, the old guard of the “spirit of Vatican II” accuse traditionalists of wallowing in nostalgia, yet Fr. Richard McBrien once found himself caught short trying to explain how it is that young Catholics, who never grew up with the Latin Mass—who, in fact, were born long after it had nearly vanished—are today flocking to it, loving it, and passing it on to their children. A “nostalgia” for what one could never have remembered is positively indecent and categorically illogical! First of all, it’s important that I spoke about a path [of liturgical reform], one that I believe is irreversible. I often think about the journey of the ancient Israelites in the Old Testament. It was a difficult journey, and sometimes the people became nostalgic for the past, for the onions and the melons of Egypt and so on. In other words, sometimes they wanted to go back. But the historical journey of the church is one which, by necessity, has to move forward. I see a certain nostalgia for the past. What concerns me in particular is that this nostalgia seems especially strong among some young priests. How is it possible to be nostalgic for an era they didn’t experience? . . . I’m always surprised to see young people who feel this nostalgia for something they never lived with. “Nostalgia for what?,” I find myself asking. 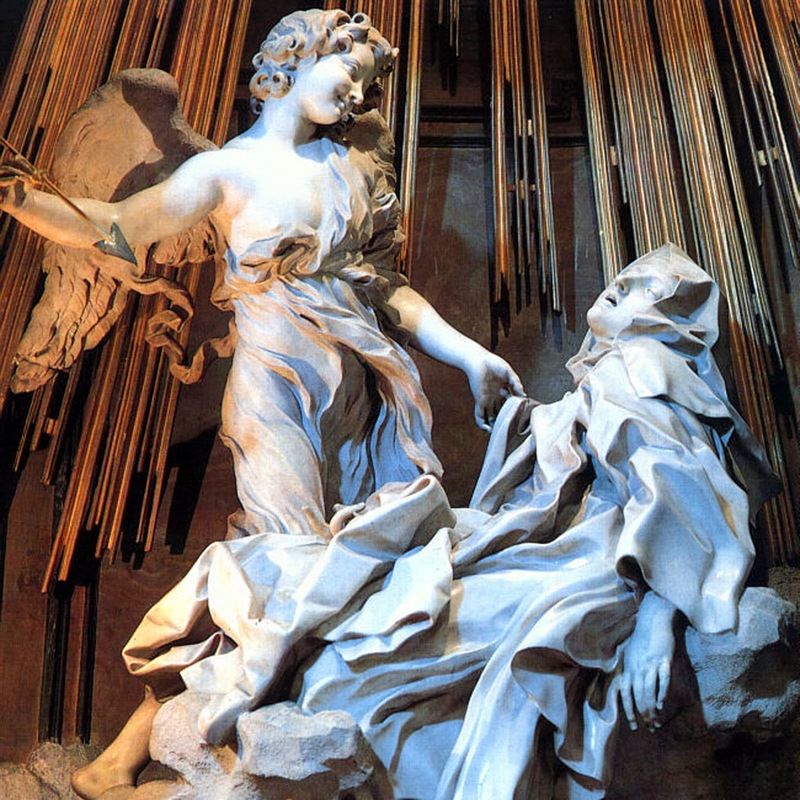 In reality, what we are witnessing are the first fruits of a long-delayed genuine liturgical renewal, thanks to Summorum Pontificum and the re-introduction of traditional doctrine and practice throughout the Church. Younger Catholics who take their faith seriously are doing just that: taking it seriously. Taking it as given, not as manufactured; as timeless, not as up-to-date. They have come to see that the Mass is not a do-it-yourself experiment: it is the very Sacrifice of Calvary made present in our midst, in a hallowed form we receive from our forebears, bearing not only its own sanctifying reality, but also the sanctified history of the communion of saints. The reaction of any sane believer is to fall to his knees in thankful adoration, along with generations past and generations to come. People who use the word ‘nostalgia’ usually have in mind the kind of thing Darroch, McBrien, or Marini are speaking of. We might call this the conventional meaning of the term, one that often carries a pejorative connotation. It seems to me, however, that our convention may be too simplistic and that nostalgia needs to be thoughtfully rehabilitated as a positive and beautiful human phenomenon. All of these texts are believed with good reason to have been penned directly by John Paul II, and they breathe a spirit distinctively his. For Wojtyła, nostalgia seems to mean a deep longing or hunger for the fullness of beauty, a powerful movement of the human spirit towards divine transcendence, in which there is mingled restlessness, memory, a striving for completeness, a straining to the infinite from the very midst of our finitude. All this, it seems to me, has enormous implications for how we think about and celebrate the sacred liturgy. The way of beauty replies to the intimate desire for happiness that resides in the heart of every person. Opening infinite horizons, it prompts the human person to push outside of himself, from the routine of the ephemeral passing instant, to the Transcendent and Mystery, and seek, as the final goal of the ultimate quest for wellbeing and total nostalgia, this original beauty which is God Himself, creator of all created beauty. Certainly, the consciousness that beauty has something to do with pain was also present in the Greek world. For example, let us take Plato’s Phaedrus. Plato contemplates the encounter with beauty as the salutary emotional shock that makes man leave his shell and sparks his “enthusiasm” by attracting him to what is other than himself. Man, says Plato, has lost the original perfection that was conceived for him. He is now perennially searching for the healing primitive form. Nostalgia and longing impel him to pursue the quest; beauty prevents him from being content with just daily life. It causes him to suffer. In the 14th century, in the book, The Life in Christ by the Byzantine theologian, Nicholas Cabasilas, we rediscover Plato’s experience in which the ultimate object of nostalgia, transformed by the new Christian experience, continues to be nameless. Cabasilas says: “When men have a longing so great that it surpasses human nature and eagerly desire and are able to accomplish things beyond human thought, it is the Bridegroom who has smitten them with this longing. It is he who has sent a ray of his beauty into their eyes. The greatness of the wound already shows the arrow which has struck home, the longing indicates who has inflicted the wound” (cf. the Second Book, 15). This passage, with the others quoted above, help us to see that there is a very rich positive understanding of nostalgia that we would do well to take seriously in our reflections and actions, particularly in regard to the sacred liturgy and man’s vital experience of it. On this basis, one could distinguish between a superficial and sentimental nostalgia, and an existential, spiritual nostalgia rooted in the human soul’s longing for immortality, transcendence, and ineffable peace, stretching out towards the beautiful with eros and pathos. The former kind of nostalgia would tend to fixate on sad recollections of the past (being in this way close to regret tinged with self-pity), whereas the latter kind is characterized by a restless search for the absolutely beautiful Beloved, for which countless particular memories, experiences, and objects would serve as symbols. Nostalgia in the bad sense is enstatic, trapped within oneself, whereas nostalgia in the Wojtyłan-Ratzingerian sense is ecstatic, taking one out of oneself. Perhaps, then, we should not be too quick to say that nostalgia has nothing to do with our love of the Roman liturgical tradition and, in particular, the usus antiquior. We should insist on the difference between a shallow emotion and a profound, subtle, vital, and powerful spiritual current on which the human soul is borne towards the Divine. 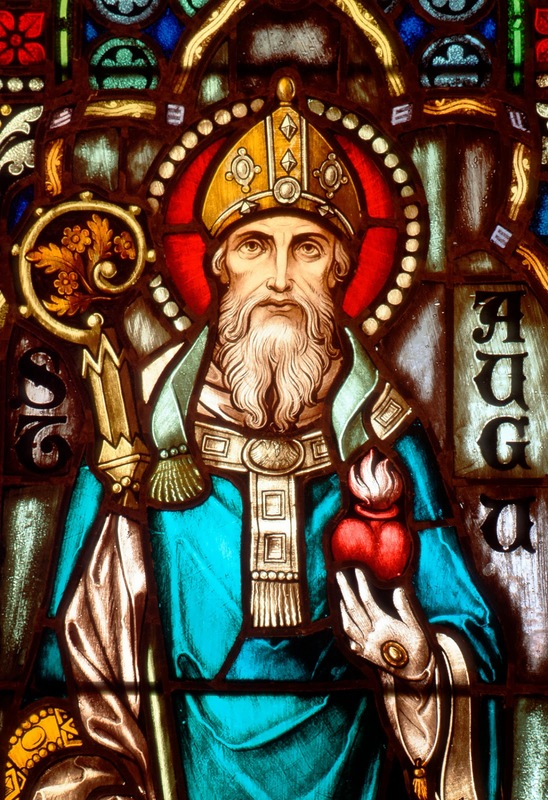 Hence, we need not apologize for our liturgical and spiritual longings but should rejoice in this bittersweet and paradoxical gift of God that reminds us of how “we have not here a lasting city, but we seek one that is to come” (Heb 13:14). As we come to the end of this year of our Lord, A.D. 2013, a time when it is very natural to cast a pensive gaze back over the year that is past and to peer into the blurry shadows of an uncertain future that we know will bring both sorrows and joys, we should thank the Lord for His mercy in giving us a taste of that transcendent sweetness that makes all earthly delight pale, a foretaste of the eternal blessedness for which we long and of which our nostalgia is a poignant reminder.